Quantity: 2 Sets(10PCS) Length: 95mm Thickness: 6mm It Can Be Used for All Kinds of 'Tubeless Tires' No Need for Glue Essential for vehicles with tubeless tires, this Car Tire Repair Kit will let you mend the puncture quickly and effectively and have you on your way again within minutes Conversion: 1 inch = 25.4mm or 1mm = 0.0393 inch, 1cm = 10mm Please allow 1-2mm differences due to manual measurement. Note: Due to the light and screen difference, the item's color may be slightly different from the pictures. Please make sure you don't mind before you bid. This item is listed as New(other) because the original box was a little beat up. Otherwise, it's new and in excellent condition. 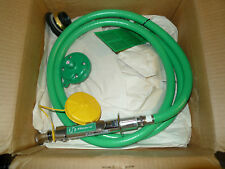 Item Single Head Drench Hose. Drench Hose Valve Type Stay-Open. Eye Wash and Shower Mounting Wall. 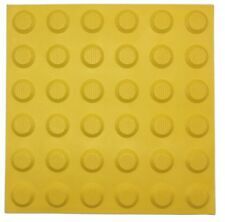 D-Section 1000mm x 100mm x 100mm. Rubber Docking Bumpers. D-section dock bumper. Can be mounted to loading docks, docking bays, jetties and directly onto trucks. The docking bumpers are made from industrial strength rubber to provide perfect long-lasting protection. Swing Down Safety Eye Face Wash Deck Cabinet Mount. Pressure Flow Rate0.4 gallons_per_minute. New in open box. Model# S19-270JD. Model NumberS19-270JD. 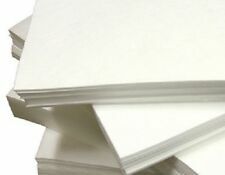 Part NumberS19-270JD. Bottle Size: 1 gal. 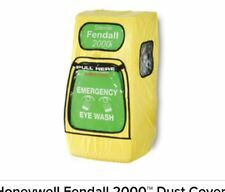 For Use With Fendall Eye Wash Stations. 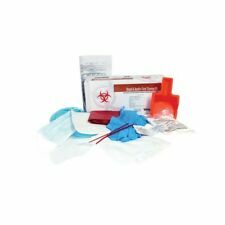 Crouse-Hinds E3201-4 Safety Receptacle Box ! WOW ! Plastic location sign. See photos. U-Line S-18815Y Yellow Neoprene Apron ! NEW ! Uline H-936 Cup Heel Grounder ! NWB ! 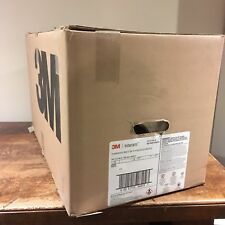 3M 3034 Female Snap Fastener 10-Pack ! NWB !